As a business and trial attorney whose practice emphasizes commercial and residential construction litigation and transactions, Greg Harwell helped found Slates Harwell in order to restore the partnering aspect to the legal profession. With over 23 years of legal experience, Greg has been involved in almost every conceivable situation where the law and the construction industry intersect. Greg’s goal is to partner with his clients to help them achieve their goals. Greg primarily devotes his time to litigating and arbitrating disputes arising from design and construction projects, and also is involved in the negotiation and preparation of design and construction contracts and related documents. As a result, he has a unique understanding of all aspects of the construction process, risk management, and project planning. When litigation arises, he brings his experience in handling disputes arising from design and construction errors, delay and cost claims, building performance problems, and matters involving mechanic’s liens. 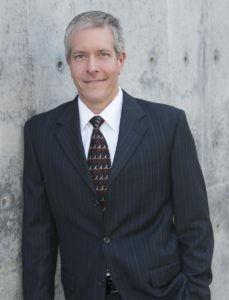 Greg is adept at navigating the complex and sometimes confusing world of bond claims and mechanic’s liens, having authored a chapter on the mechanic’s lien laws of Texas at www.lienlawonline.com. He has held numerous offices with the Dallas Bar Association’s Construction Law Section, including chair, vice chair, and treasurer. He served for years as chair of the attorney’s council for the Texas Association of Builders and on its Legal Affairs committee. 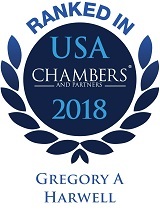 Further, he has been involved for many years in efforts on behalf of clients in the construction industry to draft and present legislation in Texas and throughout the United States that affects the industry. Included in these efforts are proposed laws relating to insurance coverage, to the regulation of contractors, and to facilitate pre-suit negotiation of disputes. When not practicing law, Greg is an avid woodworker – enjoying the challenge of designing and reproducing pieces of classical American furniture and fixtures.